You may think that writing the news is just like writing any other article. Well, sorry to break it to you, but it is not. Writing the news requires the person to have a particular set of skills not only in terms of writing them, but also gathering the needed information for the story itself. Being in the news is a challenging industry. You may also see topic outline. These are the kinds of articles that you normally see talking about a specific update of an event, or something totally new. News articles discuss current or recent news of either general interest (e.g. 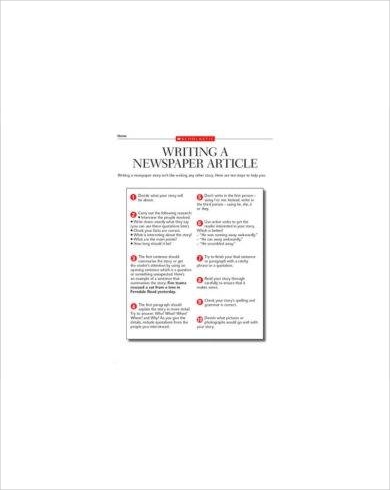 daily newspapers) or of a specific topic (e.g. business newspapers, science and technology news). They do not only cover the basics of current events, but also answer the questions: who, what, where, how, and when. A news article can include accounts of eyewitnesses to the happening event. Headlines are typically on top of the news article that give scream on the gist of what that specific news article is about. 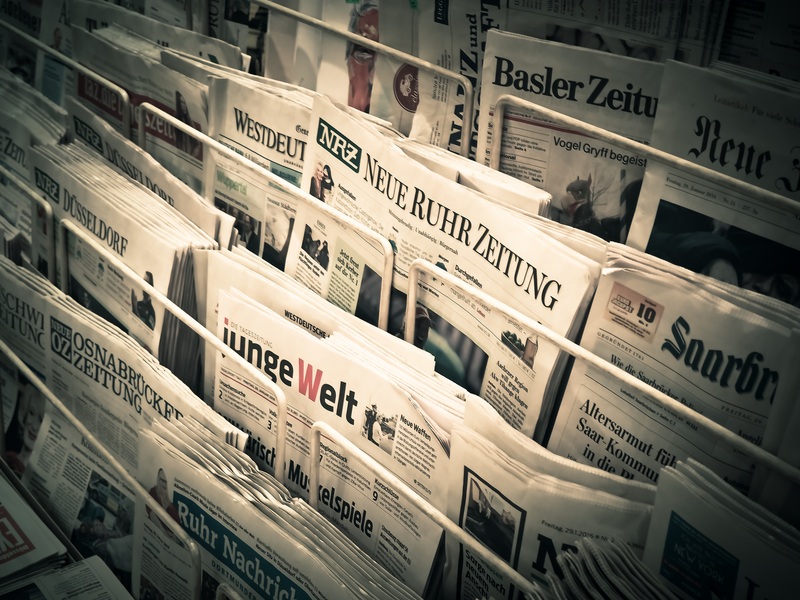 News articles, be it online or printed, may contain additional material that is perceived useful by the reporter in order to make his or her report more comprehensive to the public (e.g. pictures, infographics, statistics, video interviews, tables and figures). You may also see essay outline. 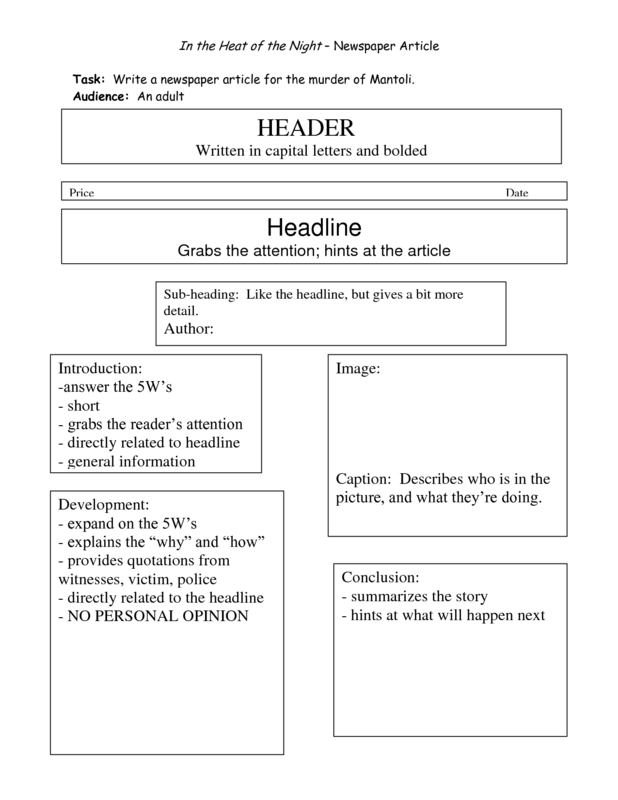 Unlike a news article, feature articles can also be considered a form of soft news. For instance, feature articles can talk about famous personalities to let the audience know more about their lives, or even famous places giving a detailed description about the said place that might prompt the audience to visit in the near future. But the kinds of articles that are normally longer and require a more in-depth research of a certain topic are called investigative reporting. This is a kind of journalism in which reporters deeply investigate a single topic of interest, such as serious crimes, political corruption, or corporate wrongdoing. You may also see free outline examples. Depending on the gravity of the topic at hand, it may take the journalists months or even years to cover. Nominated as the Best Motion Picture in 2016 in the 88th Annual Academy Awards, Spotlight is an amazing example of how investigative journalism is being practiced. In the film, we see the Spotlight team investigating a series of allegations of priests who molest young boys, followed by interviewing several victims, lawyers, other concerned parties concerning them and the Catholic Church. Practitioners sometimes use the terms “watchdog reporting” or “accountability reporting”. You may also see speech outline. In the book “The Daily Miracle: An Introduction to Journalism”, Conley and Lamble (2006) present these eight updated elements of news as the basis in determining newsworthiness for news stories that are being published namely: impact, conflict, timeliness, proximity, prominence, currency, human interest and unusual. You may also see program outline. 1. Impact. According to the proponents, impact is equivalent to newsworthiness. This value not only represents a story’s importance to society, but also mirrors a greater significance of the decisions one makes in his or her life. 2. Conflict. When one thinks about conflict stories, the first thing that would pop in his mind would be issues pertaining to murder, crimes of any scale, terrorist attacks, even political clashes and clashes between nations. Conflict-based stories usually entice interest to the general public. Many reported news stories on the war of drugs serve as the most common example when looking for a story with conflict as its news value since these types of stories embed this news value perse. You may also see biography outline. 3. Timeliness. This is the quality that pertains to “being news”. Currency and timeliness are both similar news values since they relate to the significance of the ‘when’ element. Timeliness-based stories sometimes have a specific ‘use-by date’ and is vital to special coverage stories such as anniversary stories. You may also see chapter outline. 4. Proximity. This value is particularly associated with the ‘where’ element of the story. For far-away stories to be considered a proximity-based story, it must have sufficient significance, drama or human appeal should it find itself in the local papers. Sometimes, proximity-based stories involving ethnic and cultural differences would result to gaps among the minorities and community at large as the media fail to function as a disseminator of factual information. A national story can also be considered a local news story if the story is framed in a local context. You may also see script outline. 5. Prominence. This value most often associated with people who are highly recognizable locally, nationally and even internationally that the common public takes an interest on their solo lives as well. However, prominence is more associated with credibility than with position. Celebrity stories and their gossip are the best examples of stories involving prominence like the news story when Charlize Theron voiced out her opinions on equal pay for Hollywood female actors, and her role on portraying a female James Bond. This article was published by the Chicago Tribune last July 22, 2017. You may also see research paper outline. 6. Currency. Also known as the concept of “now”, currency not only relates to controversy, trends but also towards lifestyle and technology. But in determining news value through currency leaning on a more serious light, the media must be able to assess on whether the strength and relevance of the new conditions being added to the ongoing story incites intellectual discussion.You may also see training outline. 7. Human interest. One thing that comes into mind when human interest is mentioned are feature or ‘soft’ stories in newspapers; though it can be said that all news stories possess human interest to a certain degree. This value is linked to the value of unusualness, but leaning towards more on entertainment. Human interest stories can range from humorous to tragic incidents to the basic necessities that are sometimes taken for granted like food clothes, and shelter, to rising social issues. It is these types of news that can sometimes ‘give a human face’ to the issue that can sometimes bring out the best of a person’s good heart and nature. You may also see content outline. 8. Unusual. And finally, there is the news value of the unusual which from the word itself, dictates that the story is simply out of the ordinary; not to mention it conflicts with existing practices and contradicts current trends as well. A culture in a southern Mexican village of San Pedro Huamelula dictates that the people will dress up a crocodile as a bride and symbolically marry “her” to the mayor as a way of asking the reptile for gifts, such as the abundance of rain and good fishing. This article was published at the Daily Mail UK last July 3, 2017. You may also see project proposal outline. 1. Lead. This opening paragraph is considered most important part of a news story that can be written in one to two sentences or 27 words to be exact. A good lead manages to grab the audience’s interests and must answer the question: “So what?” The lead gives readers the most important information in a clear, concise and interesting manner. It also establishes the voice and direction of an article. You may also see speech outline. 2. Context or Contrast or Controversy or Conflict. Context is defined as the parts of a discourse that surround a word (or in this case, an event). What parts do you think the audience know and what do you think is new information to them? Contrast presents the readers with opposites of the said issue. For example, after the lead talks about pro-government efforts about combating malaria in the country, you can immediately state on how malaria has taken the lives of people over the years. Controversy is the a discussion marked especially by the expression of opposing views. If Philippine President Rodrigo Duterte claimed that he can clean out the drug problem in 3 to 6 moths, you can add an opposing view by an authoritative figure saying that it is impossible. Conflict is what it sounds like: adding fire and salt to the debate. You may also see book outline. 3. Quote. Quotes add substantial basis to the said issue at hand, and it is one way to prove that the reporter is not lying and that the source has really said it. 4. Core. The core is the final part of your news outline wherein all other supporting details that the journalist would want to include is going to be written there. You may also see rough outline. 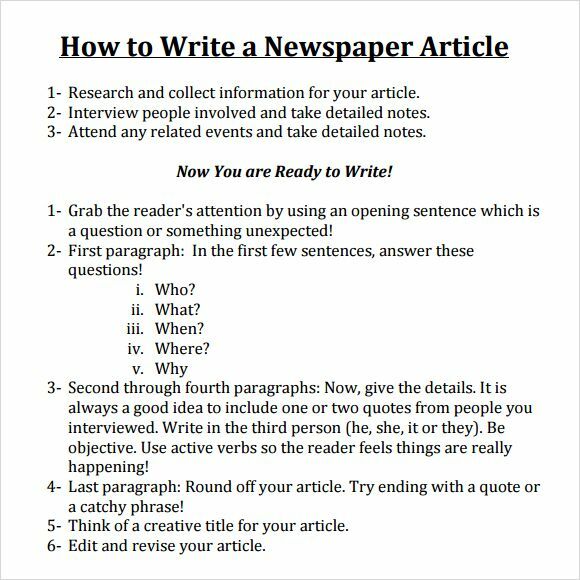 We hope you learned the basics of what comprises a news article and how it is written. Writing a news article can be quite tricky, so avoid the common pitfalls and use our comprehensive guide (with examples included) as your reference. You may also see thesis outline.